Today I going to show you how to block USB flash drives on a computer via Group Policy. For security reason most of the Companies used to blockUSB for security or to restrict user from copying confidential information from computer & take it away. 1. Login to your Windows 2008 Active Directory server. 3. 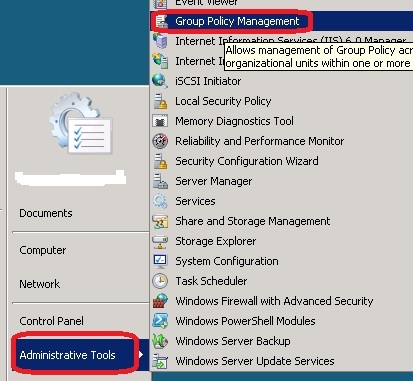 Navigate to Computer Configuration->Policies->Administrative Templates: Policy Definations-. & select Removable Storage Access. 4. 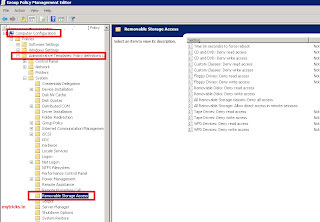 Now you will be able to see the new settings in the right pane of Removable Storage Access. 5. 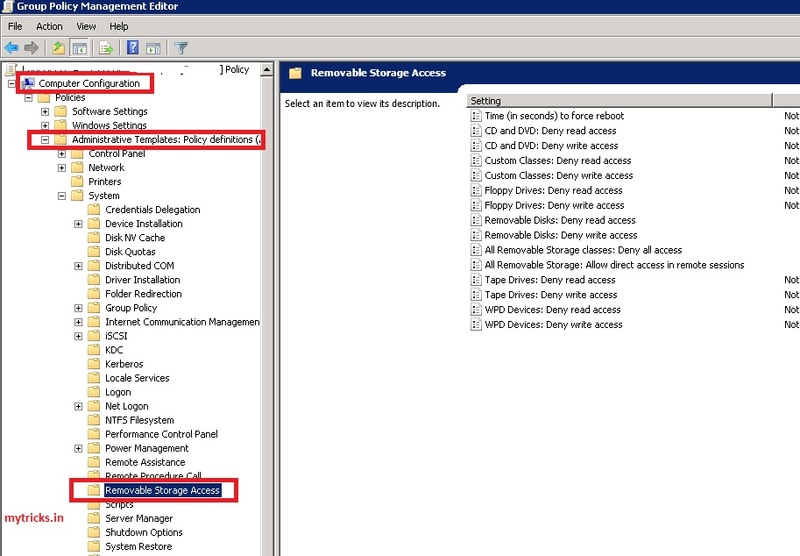 Now Enable “Removable DIsks:Deny read access”, “Removable Disks: Deny write access”, All removable Storage classes: Deny All access” & All removable Storage: Allow direct access in remote sessions” as shown below screen shot. 6. 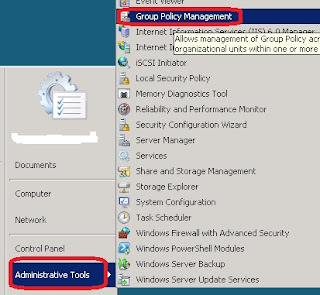 Now go to client machine & update group policy from command prompt as show below to apply the new policy..